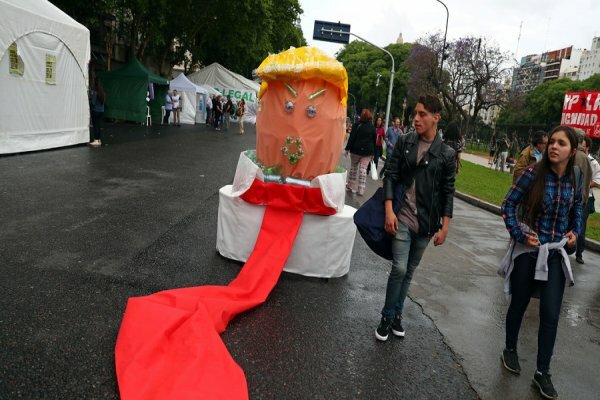 The 13th G20 summit is kicking off in Argentina with leaders of the world's most powerful nations in attendance – but top-tier officials doesn't mean top-tier organization, and a few gaffes have already made the public snicker. World leaders have plenty on their plates for the ongoing G20 summit – from trade deals (possibly including one to end the US-China trade war), to security and politics. The recent naval standoff between Ukraine and Russia in the Kerch Strait has already been named by US President Donald Trump as the reason he canceled an official meeting with Russian President Vladimir Putin, and is certain to become one of the staples of the gathering. The presence of Saudi Crown Prince Mohammed bin Salman is another thorny issue, considering the massive hit to his publicity after the murder of US journalist Jamal Khashoggi by suspected Saudi agents. But before they get to the serious stuff, presidents, prime ministers and royalty have to overcome technical difficulties and staff screw-ups. At least Macron was able to get to Argentina on time. No such luck for German Chancellor Angela Merkel, whose plane had to land an hour into the 15-hour long flight to Buenos Aires because of a technical malfunction. “Electronic problems” grounded her jet and forced her delegation to wait for a replacement to arrive from Berlin. For French President Emmanuel Macron, things went wrong as soon as he stepped off the plane in Buenos Aires. With no official delegation in sight – apparently because Argentine Vice President Gabriela Michetti was given the wrong timing – he and his first lady had to walk down the red carpet alone. Ever optimistic, Macron found someone to shake hands with – they weren't wearing suits though, but bright yellow vests, just like the ones on the protesters that trashed Paris last week. Speaking of botched welcoming ceremonies, the lavish one laid out for Chinese President Xi Jinping kicked off a little early – as soon as the first Chinese official, who wasn't Xi, got off the plane. The honor guard announced the president and started playing music, but had to stop a few seconds later. This one, at least, could be salvaged: It simply started over as soon as the real Xi appeared. US President Donald Trump held a protocol meeting with his Argentine counterpart Mauricio Macri, and it didn't go off entirely smoothly. Trump wasn't given a microphone, and apparently his translator wasn't up to scratch: “I think I can understand you better in your language than I can with this interpreter,” he said before dropping the headset on the floor, where a staff member scampered to pick it up from behind the president's legs. Trump and Putin may not meet officially at the G20, but they did get unnaturally close on the pages of the Wall Street Journal. The paper made the dream of every Russiagater come true, and finally merged Donald Trump and Vladimir Putin into a single, presumably dreadful, entity: something called a Vladimir Trump. The paper issued a correction, and then corrected the correction, but not before setting off a field day on Twitter.